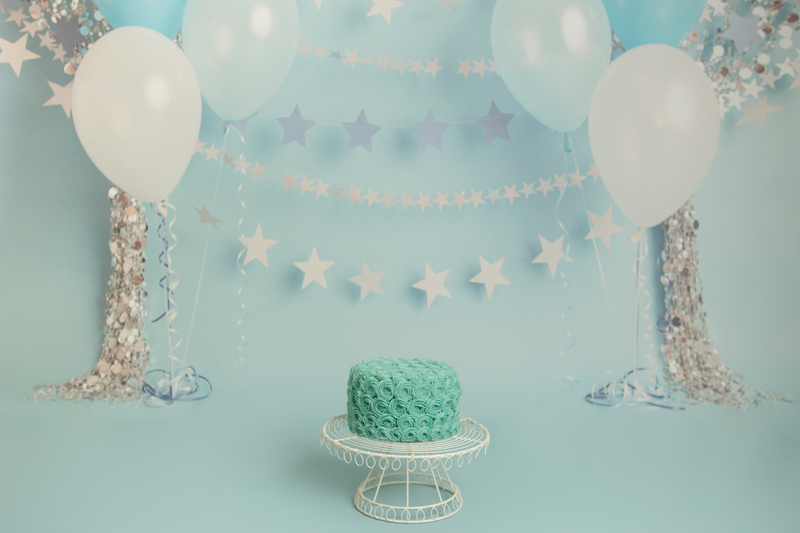 This is a session to celebrate your litte one’s first birthday. 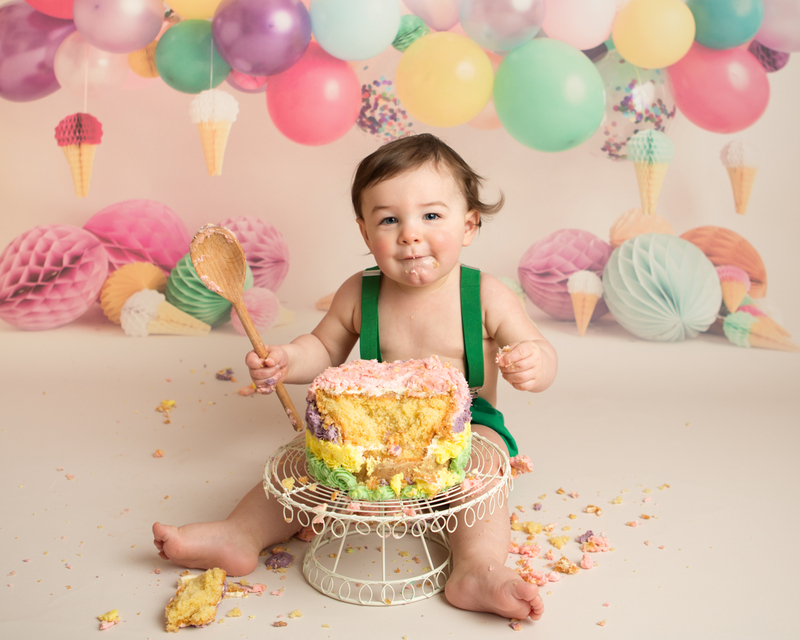 The session begins with some simple portraits of your birthday baby, then we get out the specially designed cake (included in the price) and decorations for the cake smash. We finish the session with a splash in my miniature bath. The perfect way to celebrate! 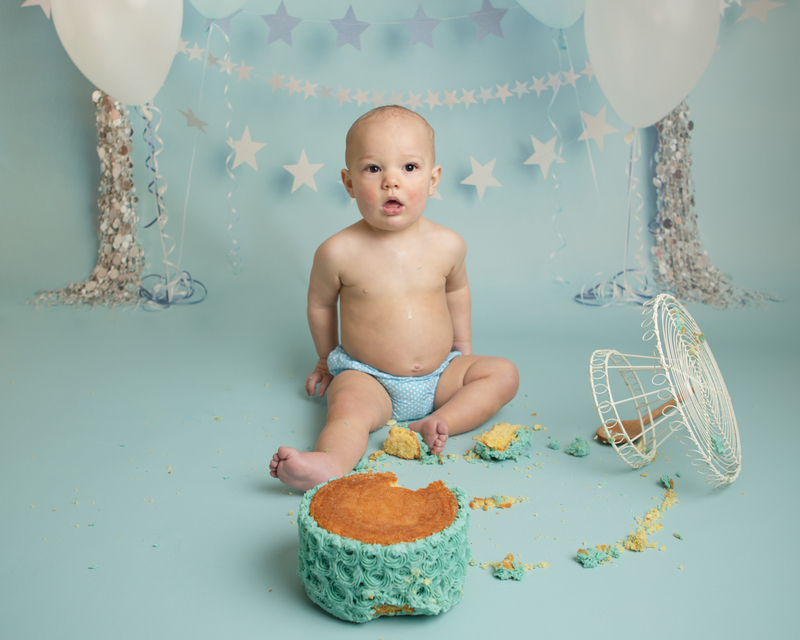 Originating from America, cake smash sessions have taken off in the UK and are a fantastic way to celebrate your little one’s big day. This session is extremely fun and very messy! I will start the session with a mini portrait session where you are welcome to bring an outfit of your choice for your little one. Boys can look lovely in just a pair of jeans and girls in a plain coloured dress. Images can also look scrummy when the little one is wearing their PJ’s or their birthday suit! Why not bring along your baby’s favourite wooden toy or teddy bear. Teddies that can sit up on their own can look beautiful sat alongside the baby. The session will continue with the cake smash itself. 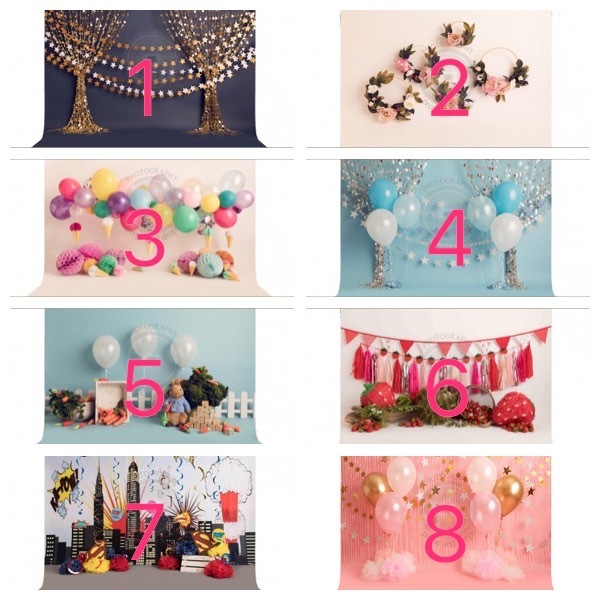 At the time of booking, you will select one of the amazing themed backdrops (please see below). I will supply the smash outfit for the session (unless of course you wish to bring your own) and a beautiful cake to match the backdrop. 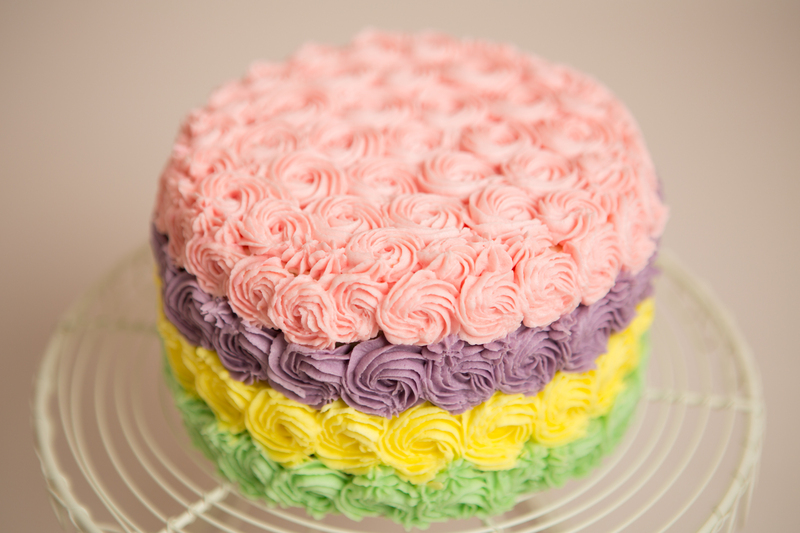 Caroline’s Cakes in Chapel Allerton supplies my cakes and she is awesome at what she does. 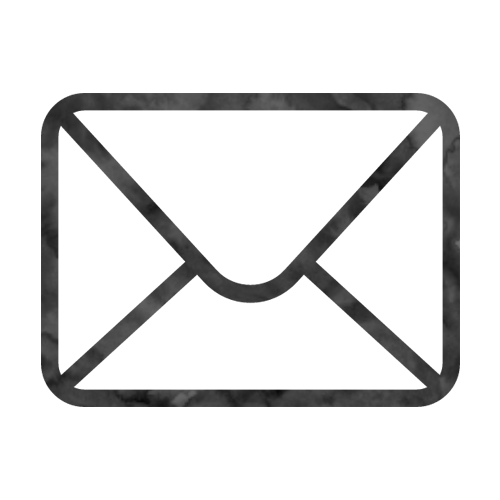 I have added a few samples below of how well she matches my backdrops. Please let me know if your little one has any food allergies. Hard to believe but sometimes little ones can’t quite believe they are being allowed to do what they want with a whole cake! To encourage them to dive in (literally) to the cake, it can be a good idea to bury their favourite snack within the cake e.g. raisins. Please bring along their favourite snack if you think that will help. 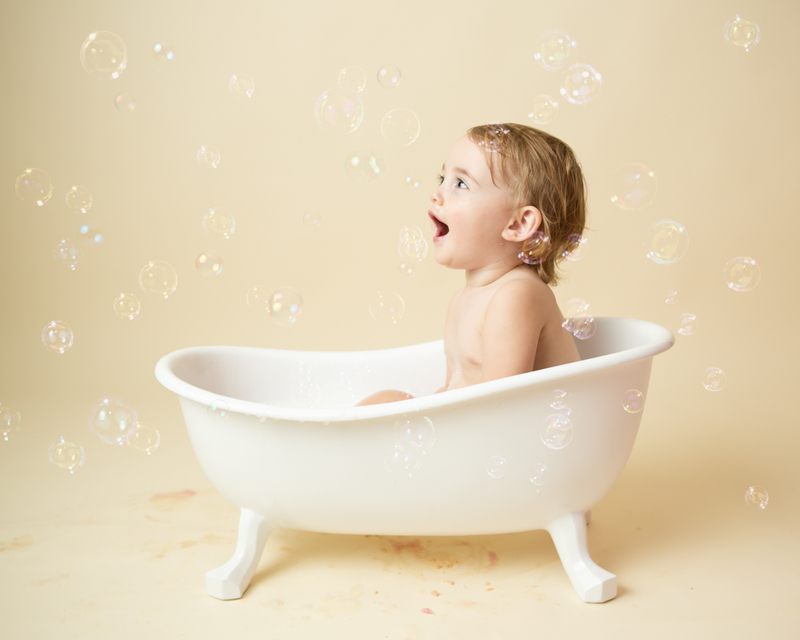 To end the session, I will put a little bit of water and bubbles in my gorgeous mini bath tub and your little one can enjoy splash time! This is usually the most popular part of the session and allows them to get cleaned up after all the cake mess! Please bring some of your little one’s bubble bath so I can add it to the tub.